What: Author of the novels MURDER BOY and RIOT LOAD. His short stories have appeared in a number of journals of varying repute. 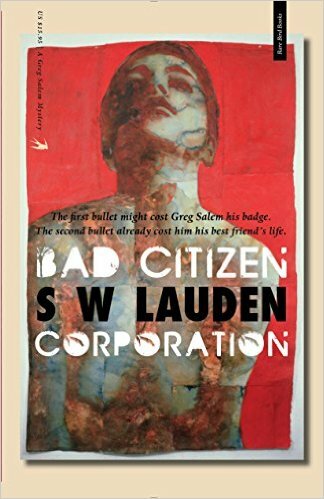 He was shortlisted for the Debut Dagger Award from the UK Crime Writers Association. 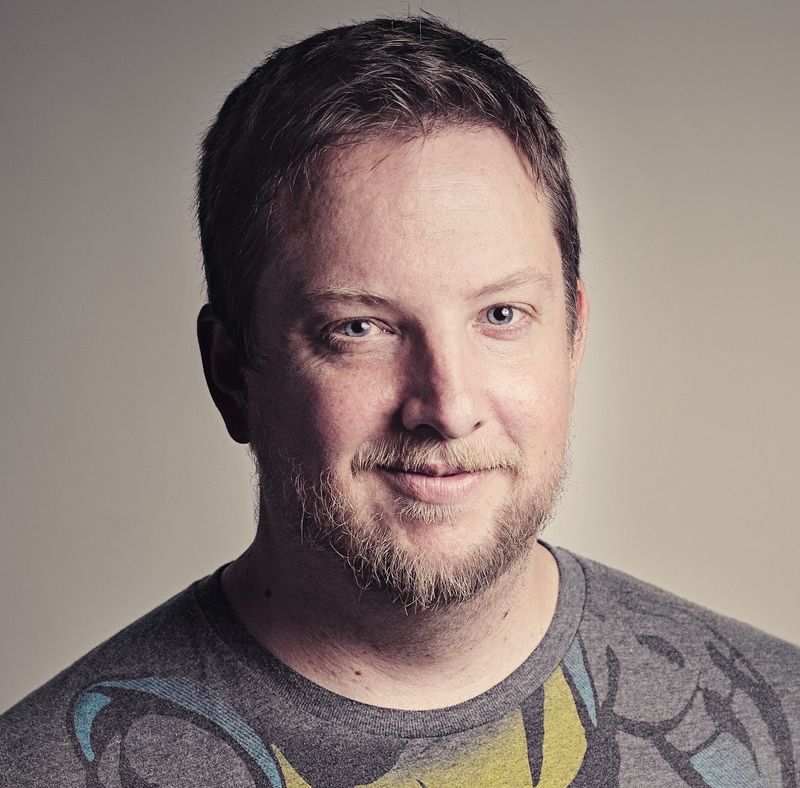 As an editor, Bryon’s most recent position was as the commissioning editor for Angry Robot’s crime fiction imprint Exhibit A Books. Books he’s edited have been chosen as the best of the year by USA Today, Library Journal, and others. Dominick Prince is back in your new book, RIOT LOAD. Have things gotten any easier for him since his debut in MURDER BOY? No. No they have not. He’s suffering a form of PTSD from the events that happened to him in the first book and that’s forced him into this kind of cocoon where he just wants to work a boring job and live a boring life and maybe not be involved in any more murders or kidnappings. But his natural (unnatural) attraction to bad luck and his incredibly poor decision-making skills are put to the test in this book and things don’t go well. At all. A “sperm bank robbery” seems like one of those awesome ideas you come up with over a few drinks, but might talk yourself out of writing the next morning. Was it difficult to actually bring that idea to life? It really was a silly idea that I came up with for a short story that I tried to outdo myself on to see how gross I could be. But when it came time to do a book with that idea, the actual sperm bank robbery became just a tiny piece of the story. In fact, the actual robbery happens off-screen and doesn’t involve any of the main characters. But rather than being gross about it this time, I realized a sperm bank, particularly this one based in a cancer center research lab, provided a nice jumping off point for some thoughts and emotions I was working through regarding parenting and life choices. So in one aspect, yes, trying to pull off a heist-type story set in a sperm lab is an incredibly cool idea that I had absolutely no idea how to pull off in the story so I punted and went for the emotional heist instead. In general, was the second Dominick Prince book harder to write than the first one? It was a lot harder. I wrote the first one for fun and NEVER thought it would be published. So with this book I wanted to maintain all of that fun and insanity that people loved about the first one while making it a better book and digging deeper into the emotional part of it. I also had a lot going on in my life while I was writing the book and found myself behind schedule almost immediately on it. While I turned it in late and the pub date was moved back a few months, I am very happy with how this book turned out and can’t wait for folks to read it and see if Dominick and I have both grown as people and as writers. How much of Dominick Prince is based on you? In the first book he is a very obvious avatar for me in my 20s. He got the raw end of all of the bad life choices I almost made back then and it was a fun way to purge all of those old memories. In this book he’s moved beyond being an avatar and has grown into a character very separate from me as far as experiences and personality. He’s still an emotional avatar for me though. I was very depressed and angry during a lot of the writing of this book due to the curveballs of life and that is generally unlike me. But Dominick had been growing into an angrier and meaner character and was the perfect outlet for me to do something with my own anger and I think that made the book stronger (and harder) because it wasn’t just a repeat of the first book. What’s harder, writing a book or promoting a book? Promoting a book by far. When writing a book I know what my weaknesses are and I know how to work around them or how to develop my skills to face them head on. I can see tangible leveling up in my writing as I try new things and work through difficult patches. But with promotion I have no idea how any of it is working. Even stuff that worked once isn’t guaranteed to work again. So it’s a ton of work with absolutely no way to know what the outcome will be. There are parts of it I enjoy, like talking to people at book stores and doing interviews like this, but at the level and quantity required for full-blown book promotion they’re emotionally and physically draining. But I think the only thing worse than doing it, seeing some success, and not knowing where that success came from is not doing anything. If I did nothing and the book tanked I’d blame myself for not doing anything. And if it did succeed I would wonder if it would have succeeded more if I would have done some promo for it. I’m lucky to have a publisher and publicist in Jason Pinter who is able to really leverage our efforts and make what the authors do work even better, but part of me would like to be successful enough at some point to turn all of this over to a dedicated publicist. 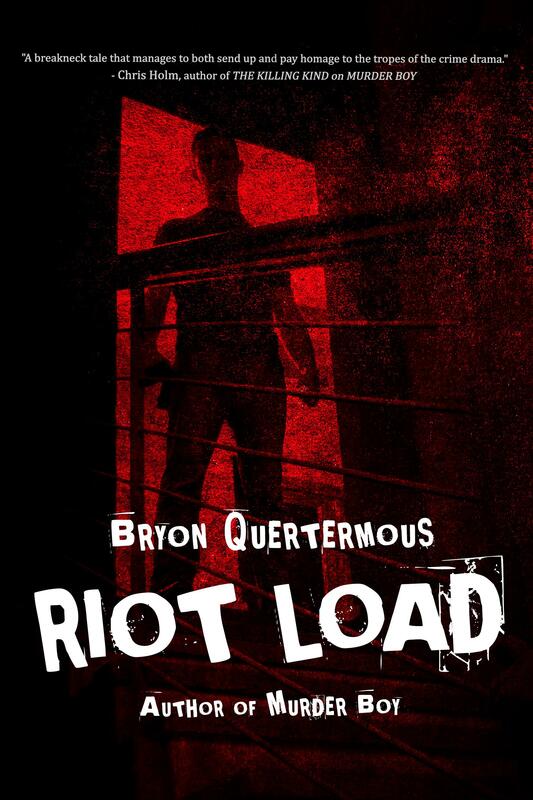 On that note, what do you have up your sleeve for the release of RIOT LOAD? A small book tour and a medium-sized blog tour. These are two things I did for MURDER BOY that I think had the biggest impact on sales. I’m going to indie mystery bookstores on the west coast where I have friends and family I know will come out and see me and the dates are packed close enough together that they should have a cumulative effect on getting word out about the book. Because even if you’re in Wyoming and won’t be able to see me on tour, the tour provides a chance for me to talk about fun stuff like traveling and books and airport security while subtly reminding everyone that the reason I’m traveling is because I have a book out. Blog tours are kind of hit or miss and I’ve seen a lot of them done very poorly. But I like blogging and I like doing guest posts so tours like this are a way for me to use that strength to get my name in front of audiences who might not normally come across my book or who may not realize it’s out. Last year I did about 12 blog events with a mix of interviews and guest posts and this year I’ve doubled that amount. It’s getting harder and harder to find outlets for stuff like this that are of a high enough quality to make it worthwhile, but I’ll still keep trying. In addition to being a published author, you are also a successful editor. How do you reconcile the two? Do they feed each other? They definitely feed each other. Being an editor makes me a better writer and being a writer makes me a better editor. I’ve always been a very good self editor because I’m ruthless and can make hard decisions about my own writing and that carries over into my skills editing for others. But working with other writers shows me that no matter how good a self editor an author is, at some point there needs to be another set of skilled eyes involved to make the book as good as it can be. Again, I’m lucky to have an editor in Jason Pinter who is one of the best and is great about pushing me to be less lazy with my writing and challenge myself more. Given your experience, how do you respond to editorial suggestions that come from others? That depends on who the others are. Because of my experience as an editor and my obsessive control over my voice, I don’t really seek out beta readers or early editors or anything like that and I tend to ignore comments that come in from folks like that. I do have a few trusted friends I send sections to once in a while if I’m stuck, but that’s about it. It’s different with editors I’m assigned. I don’t take every suggestion, but I do realize that I can get too close to my stuff and need an outside view to keep things fresh. The same goes for publisher copy editors. I take suggestions that work for me and ignore the ones that don’t. What other publishing plans do you have for 2016 and beyond? No more publishing plans for this year. I’m writing the final book in this series right now and that will be published next year. When I’m done writing that I do want to try a few novella ideas before I jump into the next book I want to write, a bigger more psychological suspense book about parental grief and the suburban heroin epidemic. I also want to write some short stories. There’s an organization I’m involved with doing an anthology of middle grade horror and crime stories that I would LOVE to write something for. 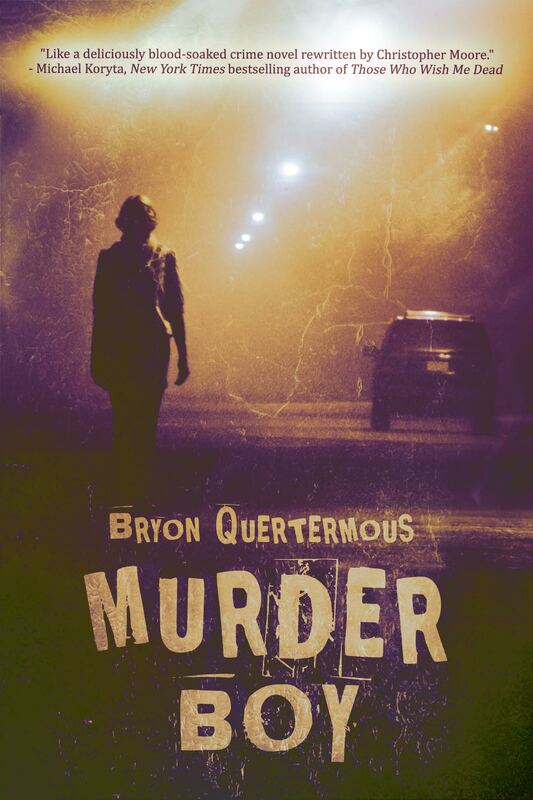 This entry was tagged #amreading, #amwriting, #interview, #qanda, Bryon Quertermous, Dominick Prince, Michigan, Murder Boy, Polis Books, Riot Load. Bookmark the permalink. This is stuff that probably only writers with his experience can safely follow, yet it is still sound advice for novices (like myself) who tend to take in too much criticism, too hard, and too soon! Thanks for another great intervew!